A wonderful opportunity to see how home owners in Church Stretton have made energy efficiency work for them to make their lives better and more resilient against energy costs in the future. The Hub will be based at the URC Hall High Street, Church Stretton, SY6 6BY 10.00am to 4.00pm, where directions, info, and advice be available. 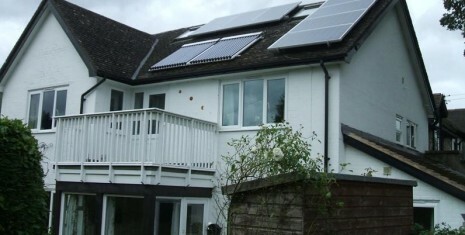 Local installers ESP Energy and EZ Solar will be on hand to provide technical expertise. Free refreshments are available. A Light Foot Enterprises energy expert will be on hand to give 1 to 1 advice on Energy Performance Certificates, the Energy Companies Obligation, Green Deal Assessments, feed in tariffs and renewables themselves. Renewables Installer MK Bufton Newtown will be be present to give technical advice and information at the hub. Severn Wye Energy Agency (SWEA) will be present on the day to give advice and support on a range of energy efficiency measures as well as renewable energy technologies suitable for older homes. They will have case studies of retro-fitting Victorian properties, and will give one to one advice.